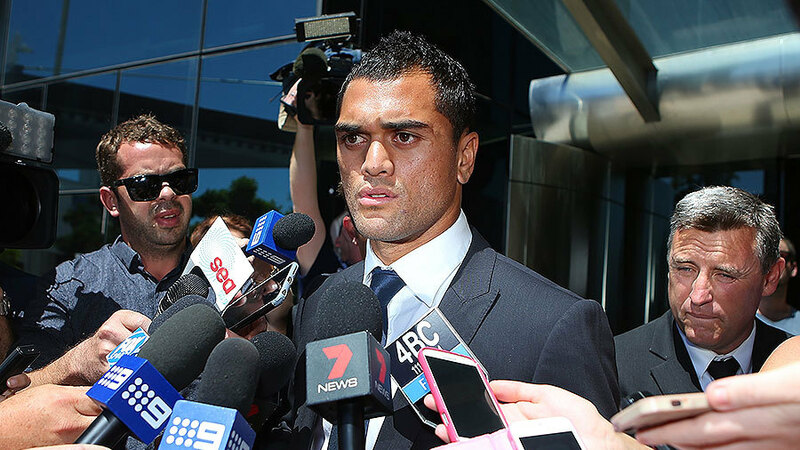 Cross-code football star Karmichael Hunt reportedly told police he binged on drugs and alcohol for days at a time and would sometimes turn up to official team functions high. On one occasion, he met his dealer outside a pizza shop to score cocaine for himself and his club mates. The Sunday Telegraph says 28-year-old Hunt also made explosive allegations to Queensland law enforcement officers about other high profile rugby union and rugby league players before appearing in court on the Gold Coast in March, when he pleaded guilty to possessing cocaine. The paper says the information was provided in return for Hunt getting a lighter sentence, which in turn helped salvage his new $2 million contract with Super Rugby's Queensland Reds. It also alleges Hunt identified to police a previously unnamed Australia and State of Origin rugby league player as having put him in contact with a Gold Coast drug dealer. "I believe that I would have got [the dealers] number from [the player]," the paper quotes Hunt as telling investigators. "While I have never partied with [the player] or seen him using drugs, I was aware that he partied every so often and dabbled with cocaine."